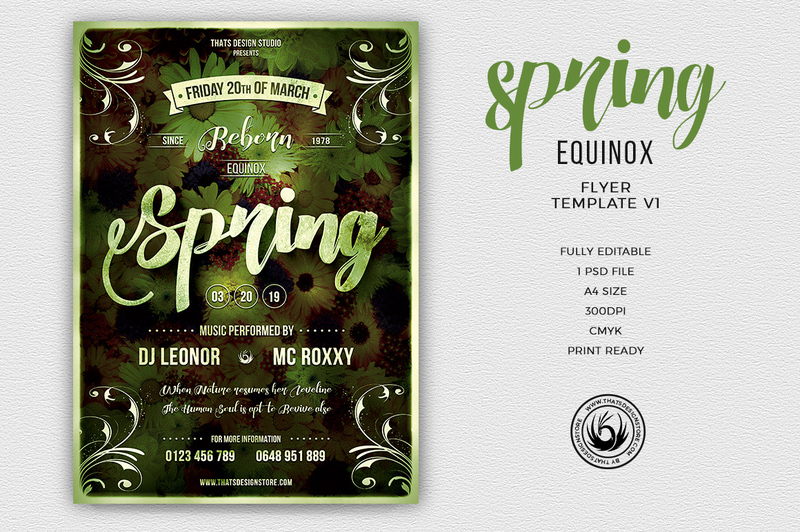 Download this Green Flyer Template so you can Customize it with your Photoshop. It’s ready to print and 100% editable. Fonts used download links provided within the help file. 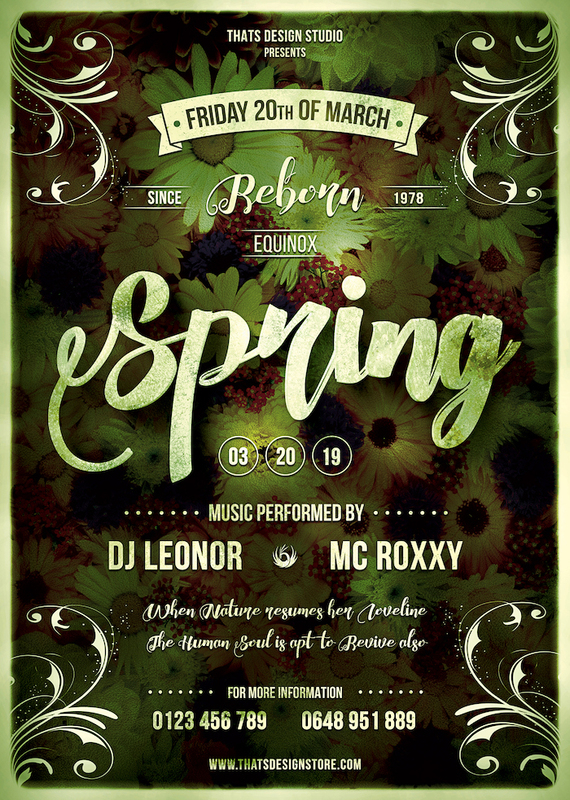 Spring Party Flyer Template was designed to promote your Spring or green special event. 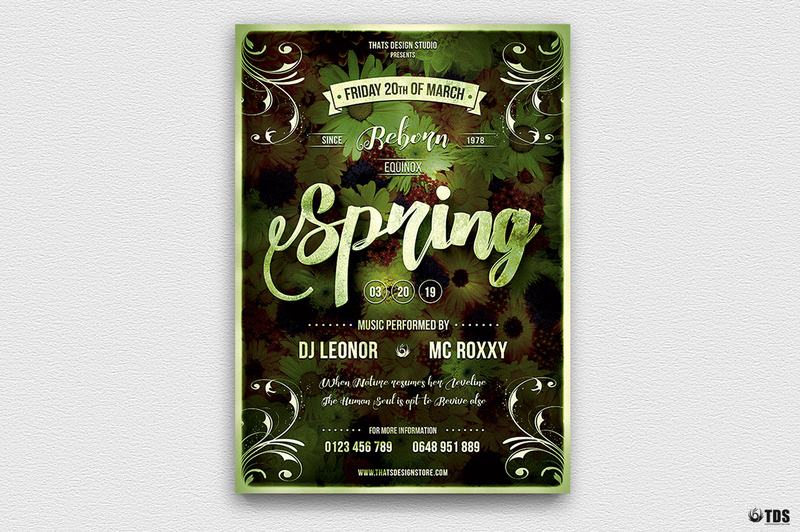 Save time and money with our Spring Break Party Flyer Psd Templates. Customize your Photoshop psd flyer template easily.